Today I chased something called a squirrel. I felt reckless and very alive, and afterwards somewhat bewildered. Mom was very impressed and scratched behind my ears. 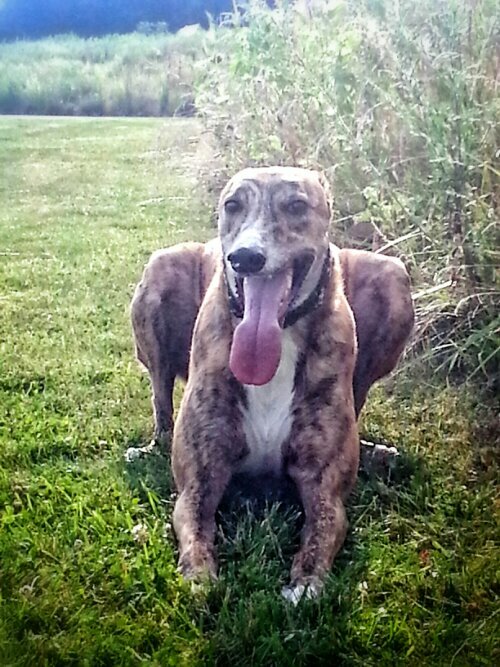 This entry was posted in thoughts and tagged dogs, greyhounds, life, thoughts by glasshill. Bookmark the permalink.